Keep in mind that even when you are working indoors you are not exposed to harmful sunlight. If you are driving, you can really see a difference between your left arm and right arm. Your right arms tends to be darker because it is always exposed to sunlight while driving. Sun bathing while in jam I could say. Haha. 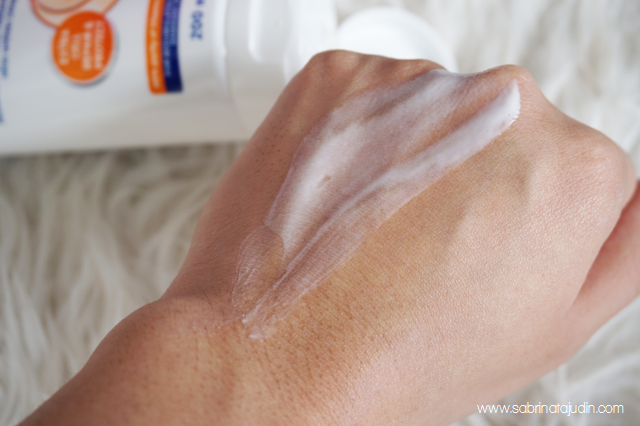 So other than sun protection for your face, Nivea offers Su protection for your whole body. 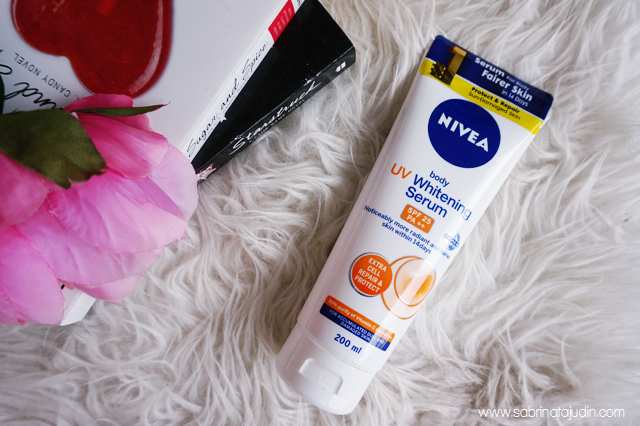 Nivea Body UV Whitening Serum provides whitening, moisturizing, evens out skin tone and protects your skin. Not like other ordinary Body Lotion, this is more concentrated as a "serum" which means it penetrates and absorb to your skin more effectively than a lotion. It is enriched with natural Vitamin C from Camu Camu. What is Camu Camu? It is basically categorize as a super-food just like Acai Berry, Royal Jelly, Coconut and Aloe Vera. It has all sorts of benefits such as a true concentration of Vitamin C to your skin. Other than that its 95% pure Vitamin C helps to repair and restore accumulated sun-damaged skin cells and provide with high anti oxidants that will help to make your skin fairer. It claims to be a body serum that will make your skin fairer in just 14 days. 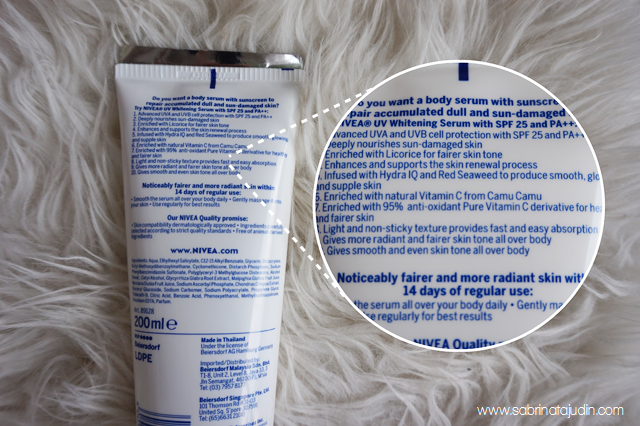 The Nivea Body UV Whitening Serum also provides with SPF 25, PA++,protection from harmful sun rays. The texture or this body serum is not greasy at all. It is easily absorb and it leaves a nice refreshing scent. So far using this I find that my skin does not really get sun burns or darker even with an everyday driving to the office and exposing to the sun for at least 1 hour everyday. With a great price tag I really recommend this product for you to try! Where to buy : Local pharmacies such as Watsons, Guardian and more that carries Nivea Body Care. Have you tried this lotion from Nivea? yep true! its also need a lot of discipline! hehe... sticky feeling tak sgt, its very watery when applied, just nice! nivea serum untuk body ni shad tak pernah try lagi.. tapi pernah try nivea make-up starter 3 in 1 moisturizing serum, best.. mmg sgt applying that moisturizing tu.. the best part is dia tak melekit2..
yep! same! oi love their spray range.. thanks Arpita!